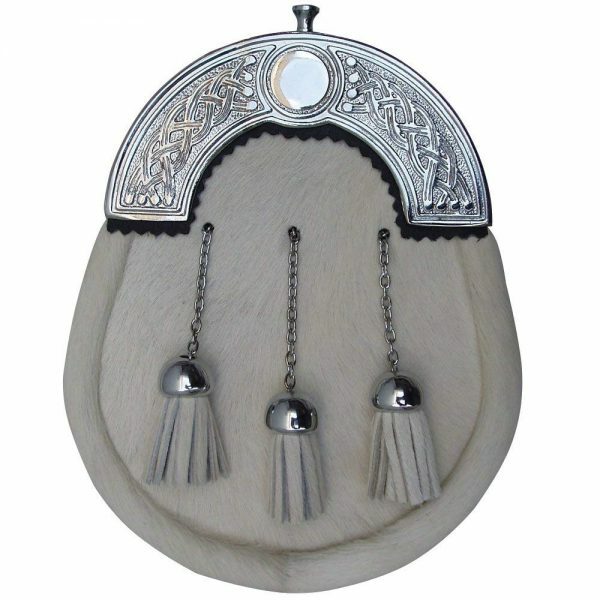 Brand New AAR Scottish White Fur Cowhide Leather Full Dress Sporran 9.5″ X 7′, ( 24 X 18cm ) with Celtic Chrome Cantle Wedding full dress sporran Free Sporran Chain and Leather Strap. 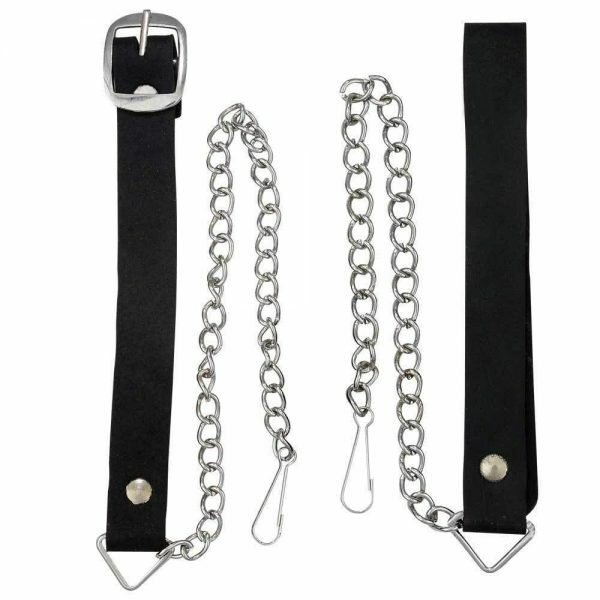 Leather Sporran Chain 50″ Long Adjustable Chain. 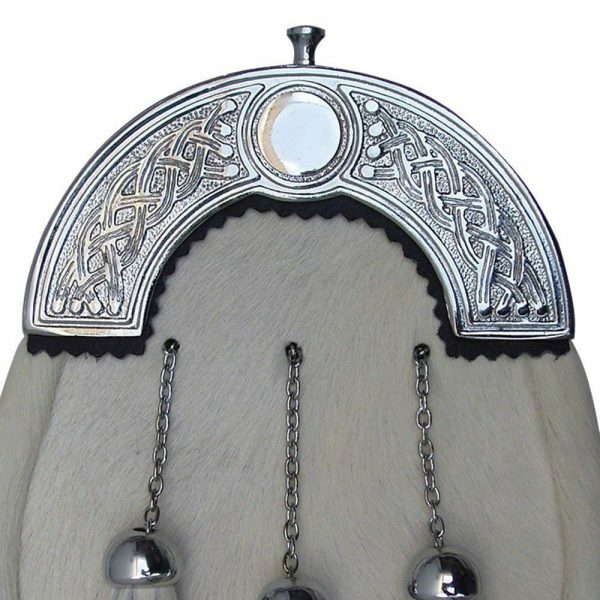 The sporran features a Celtic design cantle and comes complete with an adjustable chain strap. 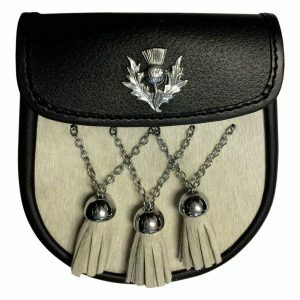 The front of the Sporran and the tassels are made from genuine Sealskin fur with the pouch being made from genuine leather. 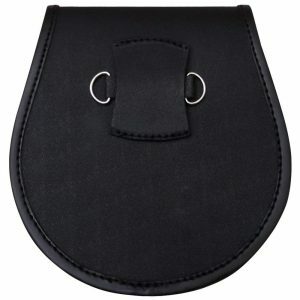 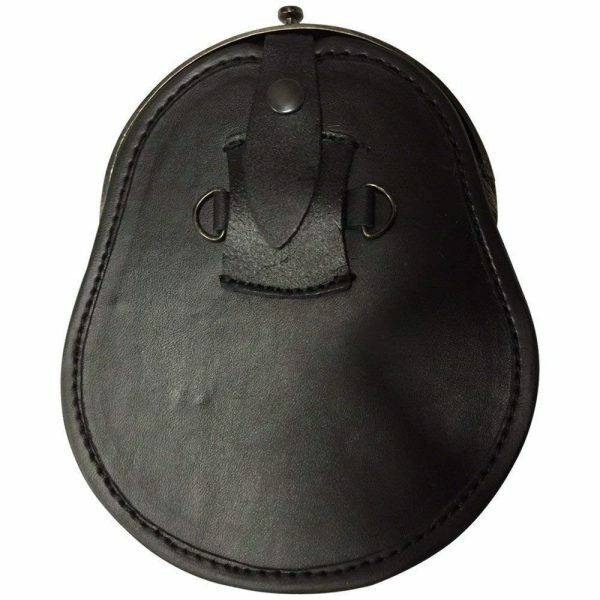 Sporran keep all small items as Wallet, Keyrings, Mobile, Reeds, & other small items. 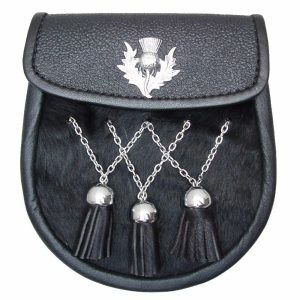 Looks great with or without a kilt & perfect accessory for a bagpipe.